Motion Detector lets you know if intruders are inside your cabin. NB! Black version ships in week 50! Motion Detector is a motion sensor for Base Unit DIY and Base Unit PRO with Radio Module. It alerts you if an intruder is detected. The sensor is very small and can be placed either on walls or in a corner, with the help of the mounting bracket and tapes included with the product. 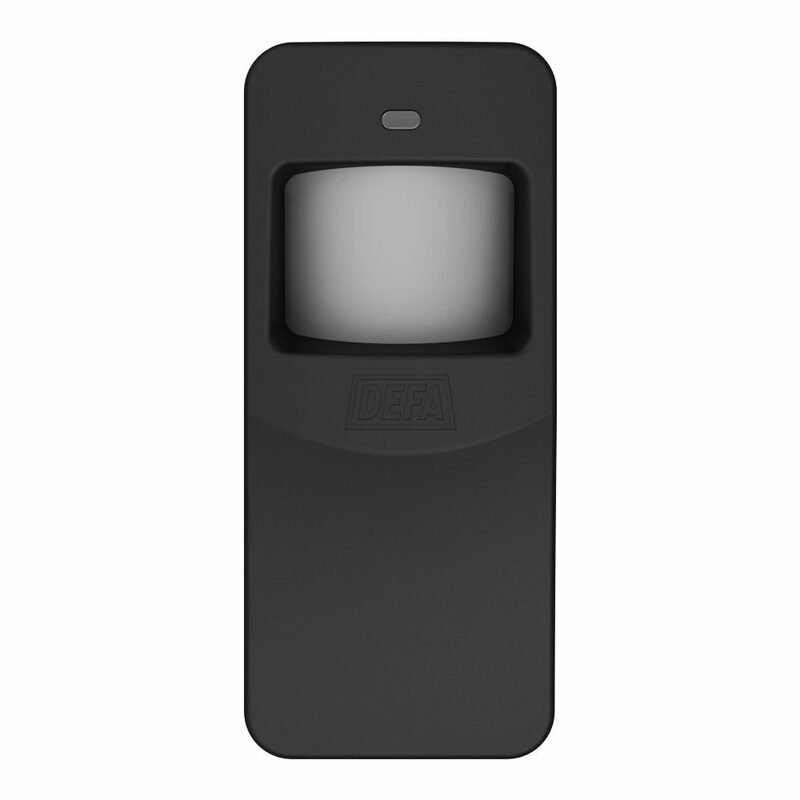 Motion Detector is powered by 2x AAA batteries which come included with the product. Alarm stickers for windows and doors are also included. Battery life is approximately 2 years. You will receive an alert when the batteries needs to be changed.